When the meetings’ findings and final report were presented to the state game commission on Oct. 5, Paul Kienzle, game commission chair, offered trappers and ranchers reassurances that the practice will continue. Yet, at least three recent bills have called for banning the practice. The meetings, which were held between November 2017 and March 2018, were requested by one of those bills’ sponsors, Sen. Pete Campos (D-Las Vegas). He asked the Department of Game and Fish to convene stakeholders and search for solutions that didn’t require legislation. With a 60-day legislative session on the horizon and a new governor soon at the helm, the commission knows the winds could be shifting for trapping, and Kienzle said he was trying to get out ahead of those changes. Trapping groups insist they already follow enough rules and won’t entertain additions. Anti-trapping groups say they entered these meetings ready to compromise, and don’t even feel their questions were answered. “The purpose of the meetings, for me at least, felt like it kind of shape-shifted a little bit and turned into an environment where if anyone proposed an idea that didn’t have unanimous support in the room, it was immediately thrown out. So there was really no opportunity to explore or debate or learn more,” says Jessica Johnson with Animal Protection of New Mexico. That continuously funneled conversations toward the one issue to which there wasn’t an immediate objection: education. Johnson was allowed to read recommendations from anti-trapping groups at a meeting, she says, but no questions or discussions were permitted. That list included adding “bag limits” of five animals per trapper, revising current law that sets no limit on the number of animals a trapper can kill. They also suggested no snares or lethal traps be set on public land—though verbally offered flexibility on that, Johnson says—and widening buffers from public spaces. Current rules allow traps within one-quarter mile of picnic areas and occupied dwellings, unless on private land, and within 25 yards of a trail. The groups suggested stepping back to 2 miles from homes and 100 yards from trails. High-traffic portions of the Cibola and Santa Fe national forests, including the trails closest to Santa Fe, were proposed to be closed altogether to trapping. Trappers call increasing setbacks from trails “ridiculous,” arguing that an off-leash dog is as likely to run to a trap 200 yards off the trail as one 25 yards off a trail. 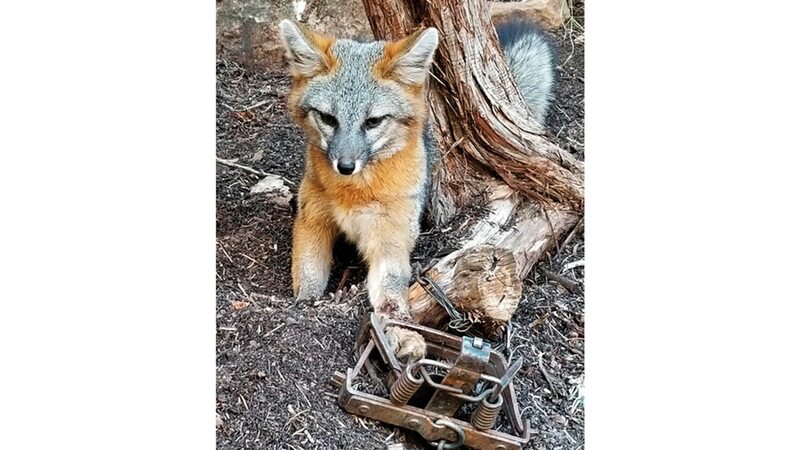 They also oppose adding signs near traps for fear of vandalism, closing additional areas to trapping, or limiting the number of animals they can trap. The stakeholder meeting report notes trappers didn’t want to reopen some rules “for fear of being forced to make a lot more concessions.” They supported mandatory education about trapping—and expect that will include educating people about traps and how to monitor their dogs and protect themselves. During the 2017-18 trapping season, 12 dogs were caught in traps, as were at least three endangered Mexican wolves. “It’s not that there aren’t laws, it’s just the people are uneducated with traps, what they do and how they operate,” Joe Luna, president of the New Mexico Trappers Association, told the commission. “Trappers associations, or hunters or anglers, they always give up things,” Luna told SFR later, pointing to a hunting season shortened by a few weeks. Trappers use best management practices to reduce injury to “non-target” animals accidentally caught, he says, and compares the wound they’d receive to the experience of swinging a hammer at a nail and hitting your thumb instead.